Today (Sunday) is Good Deeds Day. However, the IAF Air Defense Array marks Good Deeds Day all year long, volunteering for community service across Israel, all while handling the complex operational reality at the same time. 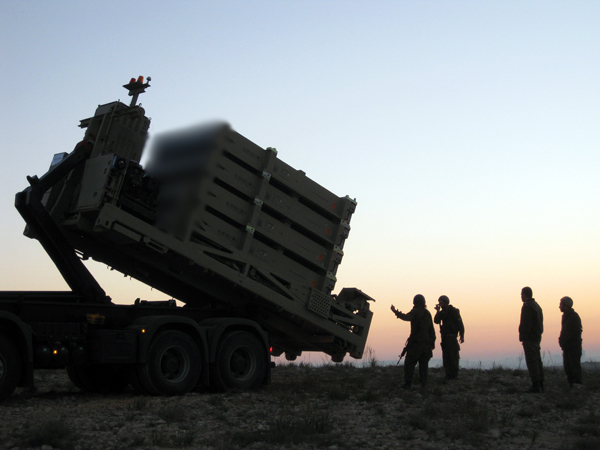 "Our job is to protect Israel", said Lt. Shmuel Asher, an "Iron Dome" weapon system squad commander. "Connecting with the community is critical to our work. Getting to know the people we protect gives us the necessary motivation to achieve our goal". "In 20 years, my children won't be able to meet Holocaust survivors and hear their stories in person. My generation will then become the best source for hearing these stories", said 2nd Lt. Segev Weisman, a squad commander at the IAF's "Arrow" Unit. After realizing this, 2nd Lt. Weisman decided to initiate a volunteer program dedicated to visiting the homes of Holocaust survivors. "I spoke to the Rishon LeZiyyon municipality and the 'Flowers for Survivors' association. I told them about our unit and they replied quickly", he described. "Two combatants from the unit visited each and every Holocaust survivor who participated in the project. The first thing they did was introduce themselves and speak of their service. Afterwards, they spoke to the survivors and listened to their personal stories". Some of the Holocaust survivors also took part in establishing the State of Israel. Now, 70 years later, they got to meet the combatants defending the country they helped establish. "The main thing our unit does is protect our country", said 2nd Lt. Weisman. "I tell my soldiers every day that they are the first and last line of defense against targets posing a threat to Israel". 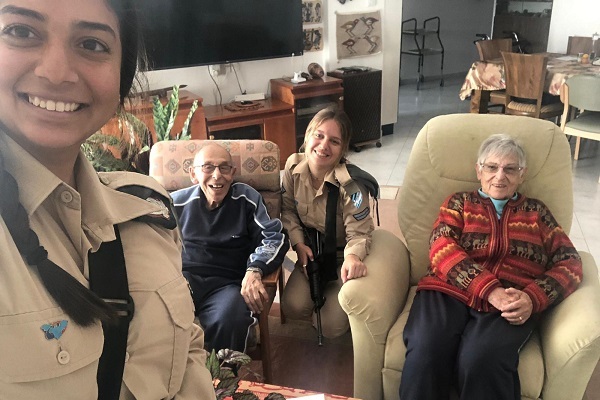 "When we first deployed in southern Israel, it was important for me that we participate in some form of community service", elaborated Lt. Asher. 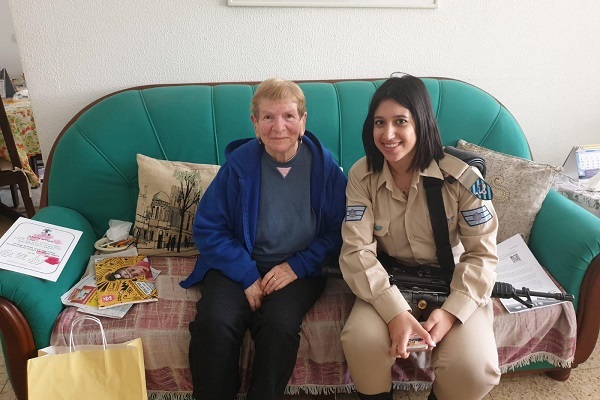 "I talked to the people in Sderot so I could find a good place for us to volunteer in, and I finally reached the 'Colors' association, which assists people with disabilities". After his first visit, Lt. Asher decided that the battery would volunteer there once a week and assist the workers - slowly, they even became close friends. 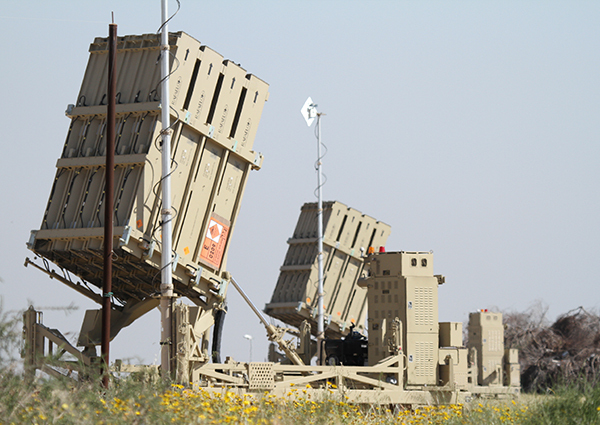 Oftentimes operational situations may stand in the way of community service, especially in the "Iron Dome" batteries. "We weren't able to volunteer over the past few weeks because of the operational reality at hand", said Lt. Asher. "When I have to cancel, they show understanding". The Air Defense Array's batteries continue to perform volunteer work throughout the year. "When the combatants see the people they protect with their own two eyes, the newly formed relationships give them additional reasons to give their all while performing their mission", emphasized Lt. Asher. "Our routine can be difficult at times. When we better understand the things under our responsibility, we operate better as well", concluded 2nd Lt. Weisman. "Returining from a day of volunteering makes the combatants more connected to their work than any brief or presentation at the unit. It makes them better combatants and better inteceptors".